Facebook is one of the largest and most successful social networking and a major web marketing site where advertisements are displayed and this business is worth billions of US dollars. With Over 900 million users it is seen as a great advertising platform by both online and offline business owners, as advertisement on Facebook ensures that a product or service will get vast exposure and the plus point is that you can choose the nationality, age group and gender of your targeted audience making it a very effective advertising platform. Another plus of Facebook Marketing is the setting of an advertisement are under your control right from choosing your budget to time you want to display your ads making it very convenient and easy form of marketing. As it is not essential that you always use paid advertising, advertising on Facebook can also be done for free all you need is to connect to your audience and create a fan page which clicks, this feature makes Facebook marketing very attractive to small business owners. 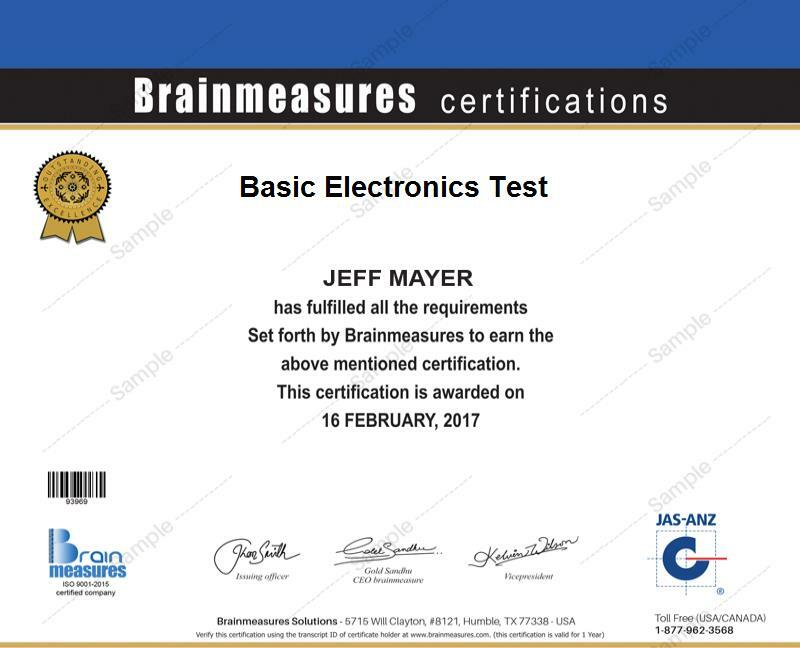 Brainmeasures is a leading online certification and skill testing company which offers skill tests in over 1200 fields and over 100 professionally developed course and training programs. One of the best sellers of Brainmeasures certification course programs is Facebook Marketing certification. Brainmeasures Online Facebook Marketing certification course program is developed by experienced professionals with years of experience in this field and this course has been developed keeping in mind to help the reader master the art of Facebook Marketing, it is an extensive study material on the subject touching each and every aspect one must know to enter the field professionally. Detailed in-depth course material on Facebook marketing developed by experienced professionals under strict ISO controls. Intensive and extensive study guide to Facebook Marketing. Information provided in this course will help you make your corporate presence on the web. This certification program will help you learn about growth of social networks from business perspective, the basics of Facebook marketing, establish your corporate presence, power and presence on Facebook, Facebook apps, developing a Facebook strategy and a lot more. How to avoid common mistakes people make. The text is written in easy to understand language. 24X7 access to your purchased product. This Facebook Marketing course has been so developed that anyone interested in this field can enroll for this certification program and no prior technical knowledge is required. This course is a great study guide for professionals who want to use Facebook as a marketing platform, for CEO’s, CMO’s , PR’s Communications and Marketing, and for any individual who wants to gain professional knowledge of Facebook Marketing so that he can get a job in this field. Job Aspects – Certified Facebook Marketing Mangers. Facebook has become a marketing giant and in turn opened vast job avenues, growth of this field has increased the demand for certified Facebook Marketing Mangers. Certified Professionals are paid more and the salaries increase with experience, web marketing managers are in huge demand due to increased presence of internet marketing, not only online businesses but offline business entities are also using online marketing platform to market their products. On an average a certified web marketing managers salary is $76,000 but this figure varies according to position and experience. Brainmeasures Online Facebook Marketing Certification is the best certification and vital if you plan to enter his field.